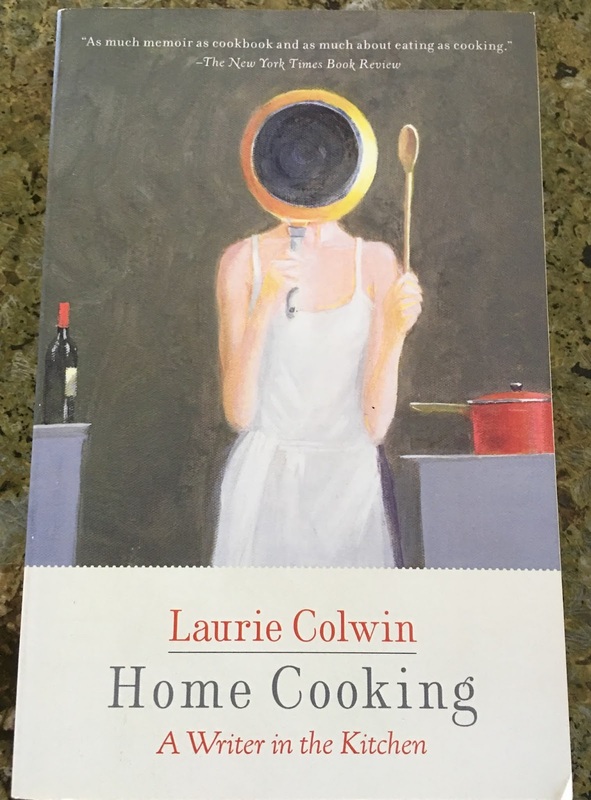 LUCY BURDETTE: Do you remember reading Laurie Colwin’s classic memoir Home Cooking, A Writer in the Kitchen? I'm rereading it now--she was a foodie before the term even existed. She made cooking sound so easy and so fun. For a while, she volunteered cooking lunch for over a hundred ladies at her church. Her mother’s recipe for spaghetti casserole has always stuck in my mind. Once a month for the past two months, I've acted as sous chef for a Saturday cooking event. My friend (and also character) Eric is the lead chef. How does someone cook for 150 people--inexpensively? In a small kitchen without any fancy equipment? As the experienced member of the team, Eric chooses the menu and shops--a chicken and stuffing casserole, green peas, and frozen strawberries for dessert the first time, and a curried chicken salad the second. John and I (among a group of others) go the day before to help with chopping and opening cans. Saturday mornings bright and early the lunch is assembled, while other workers pack food bags to go out with the lunches. At 10:30, the food is lined up and more volunteers rotate through with biodegradable containers to pack lunch for 150. Then volunteers swoop in to deliver the lunches and the food bags to the people on their route—mostly lower income senior citizens. Let me assure you that if I harbored any dreams of becoming a professional chef, they are gone... it's not as easy and romantic as Laurie Colwin made it sound LOL! Have you ever made dinner for 150 people? Any super-simple recipes to share? Margaret Turkevich, you are the winner of Sherry Harris's A GUN ALSO RISES! Please send a note to her at sherryharrisauthor at gmail dot com. That's so great! I have a hard enough time cooking for one, let alone 150. My sister is a professional chef, though. If she lived closer I'd make her cook for me all the time! That would be brilliant Marla, to have your sister chef cooking for you. Maybe you can beg her for some recipes and tips? She cooks fancy stuff, not anything simple that I would be able to accomplish. And it's funny, but she refuses to cook at home. I guess she considers it to be work. So if she did live close by, I'm pretty sure I would have to pay her to get her to cook me anything. I don’t envy you cooking for a hundred and fifty folks, Lucy, but I’m sure those on the receiving end of your delicious-sounding meal appreciate your efforts. The closest I’ve ever come to cooking for a large group is making soup for a Lenten soup supper at Church. While I don’t remember there being a hundred and fifty folks there, it was definitely a much larger group than I regularly cooked for . . . and it was nerve-wracking. Cook, stirring as needed, until the vegetables are soft and the potatoes begin to brown. Cut the sausages in half; cut each half in half again and slice. If you like, you can substitute frozen Potatoes O’Brien for the potatoes, onions, and peppers for a quick, easily-prepared meal . . . .
Mmm, we'll all be over for breakfast Joan! What wonderful memories Deana! I don't know how many church groups could pull off wedding receptions these days...I think your idea of tripling a recipe is a good one. When you think of a dish and then start to think about multiplying every ingredient by 80, it's mind-boggling! 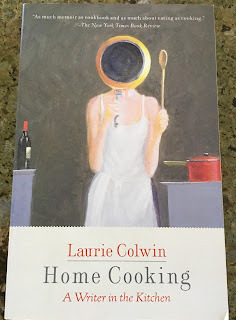 LOVE Laurie Colwin's books - I have that one and the sequel right here on my shelf, one of the few books I keep. And keep. She died so young, a heart attack at 48. Oh, gosh, cooking for 150? I can't even imagine it. My ability to stay on top of things breaks down cooking for more than 8. And I run out of kitchen. No place to keep things hot or cold, and it's critical to prep in advance but HOW MUCH is always the question. Deana, you sound like an expert! My superest, simplest is for pot roast, and occasional treat these days since we've cut way back on how much meat we eat. 1. Season the ROAST (around 3-4 lbs) w SALT and PEPPER, dip in FLOUR, and sear on both sides in a thin layer of hot VEGETABLE OIL in a dutch oven. Remove meat from pan and take pan off heat. 2. Layer in the bottom of the pan: 2 LARGE ONIONS SLICED THIN, 4-5 CARROTS SLICED, 1 LB SLICED MUSHROOMS. Put the roast on top. 3. Dump over the top of the roast 1 PKG OF LIPTONS ONION SOUP MIX, 1 BOTTLE OF HEINZ CHILI SAUCE, 1 BOTTLE OF BEER (I like something dark). 4. Cover the pot and bake in a slow (325) oven for at least 3 hours. Only take it off when the meat is truly tender. 5. This will render lots of liquid, delicious gravy that you just de-fat and serve with the meat and some kind of potatoes. Got to have potatoes. I hate that she died so young. Imagine the things she could have written. And I've had your yummy pot roast Hallie! The most I've ever made dinner for was 6, including myself, and that was Thanksgiving. And I had help. These days, managing to cook for myself is more than a chore so adding more people to the equation is unlikely to happen. What a great ministry, Roberta. It must be very satisfying to know that you are feeding people good, healthy food, and that it will be appreciated. I've cooked for crowds: sit-down dinner for 24 (prime rib, Brussels sprouts, potatoes Daphinois), hors d'oevres for 80, and buffet for 40-50 for parties. It's a lot easier to do when you have enough pans, warmers, and counter space. But nothing on the scale of 150! That sounds daunting. Does anyone remember Peach (Karen Pietsch) from the old TLC blog? She does this type of cooking routinely, for her church, and for canning. Her whole family gets involved, including her parents when they were alive, and her daughter (Peach Blossom). I don't remember Peach, Karen. Does she blog about what she cooks? No. She was a backblogger who lives near Pittsburgh. Lucy, what a great service your church provides! Do you only prepare casserole-type meals? I have a side dish that might work well: garlic spaghetti. It is simple but delicious and works well with roast chicken or pork chops or any kind of meat. In fact, meatballs would go great with it, come to think of it. I've also added baby spinach and bacon to it to make a meal of it. Heat olive oil over medium heat, add the garlic and cook 1-2 minutes, stirring constantly. Add salt, pepper, and 3 cups broth. Bring to a boil, add the pasta and cook al dente. Add more broth if spaghetti noodles stick to pan. Add cheese, cream, and parsley after the pasta is done. And just in case: substitute for heavy cream: 3/4 cup milk plus 1/3 cup butter (add 1 tablespoon flour if using low-fat milk). The biggest group I've ever cooked for is Thanksgiving dinner for 12. That was quite enough work - I can't imagine cooking for 150! I had no idea Mary--it's another universe! I remember my grandmother helping to cook for her church's Wednesday evening fellowship supper every week, but that was when I was in elementary school, and she didn't trust me to "help"--except with the eating. I've done Thanksgiving dinners, but usually those are more pot-luck than one-cook-to-rule-it-all. But what you are doing is on a whole different level, and it sounds like fun. Chopping and laughing and pitching in with friends on a good cause is something we all should find time to do. Go, you! I'venever cooked for a large group - can't even imagine it. But I've been involved with church suppers where each team member knows her (or his) own task and gets to it so that everything goes like clock work. When I was teaching I was very friendly with the cafeteria ladies (good advice to anyone in a school!) I marveled at how the cafeteria head was so unflappable - she'd have several things happening all at once and never lost sight of what was going on. It certainly is a very specialized way of looking at the world! Can you imagine cooking for all those children, EVERY DAY??? When younger, I volunteered a couple of years at scout camp as one of the leaders and I helped cooking for around 30 peoples. The meal that came back every time was shepherd's pie. An other one was chicken pot pie with vegetables. Bravo Lucy for your help! A challenge would be keeping everything warm, right? That’s hard enough for just a few people! I added a warming drawer when we replaced our kitchen appliances, and routinely served 25 hungry soccer players a pasta dinner supplemented by garlic bread, green salad, and fruit salad. The girls were suspicious of my manicotti shells stuffed with meat, mushrooms, and mozzarella cheese, and the following year, home made tomato sauce, so I finally did it their way: pasta shells with a popular brand of marinara sauce, Stouffers mac and cheese, and bottled salad dressing. During my college years, I worked in restaurant and dorm kitchens. Cooking in bulk doesn't intimidate me. The more dinner guests, the easier the menu (including a main dish that "keeps" if people are late). Oh, Margaret, what are you going to do with teenagers?? What would Laurie say? I have her food essays on my kitchen cookbook shelf. That sounds like an incredible juggle—I never thought about how long it would take just to open the cans! Whoa. And then—must feel so easy to make dinner just for two. And I am more helpful with plot than pots and pans—but wonder what Hayley ( or someone) might find doing deliveries? OR what else might be happening during those deliveries? OR—how could only one person be poisoned by the food when 149 other people ate the same thing? My darling sister ‘Nancy is a caterer, and you can’t believe what she does! She also ran a restaurant, and for several years, a hospital kitchen. Happy to connect you two, Lucy/Roberta… She would have a lot of ideas! My only personal experience with cooking in that quantity was when my son was in Boy Scouts. His troop used to make money by "catering" the year end banquets of several Cub Scout packs. They did it by holding one workday where we built a dozen or more institutional-sized trays of lasagna, assembly-line style. Someone would pre-cook the crumbled meat at home ahead of time, and someone else would pre-cook the noodles. Then one crew would work in the kitchen mixing up the cheese filling while most would work at a table, assembling the trays, with one or two others sealing them for the freezer. The group would then disseminate them among freezers to be pulled out as needed through the series of dinners. I have helped serve food in a church-sponsored "soup kitchen," but never prepare it. Thank you for doing this! I always think that cooking for 14 on holidays is bad enough! The book I'm writing is about Queen Victoria's chef and I've been wondering how they divided up the tasks at a banquet for 150, and many courses. Rhys, I'll bet you're doing lots of interesting research. I'd love to know how they managed those kitchens. Fascinating...all we know is how easy Mrs. Patmore made it look! We're going to be in KW from 1/26 to 2/23. Does the group need another pair of hands or would that be too many cooks in the kitchen? I have the greatest admiration for people who have the combination of skills and generous heart to pull off feeding hundreds of people! it's an amazing group, with so many moving parts! Lucy, you know how much I love Laurie Colwin. That book is one I read and reread. I meant to make her fabulous gingerbread recipe over Christmas but never had time..
that would be so much fun Debs!! I've never cooked for more than three people, including me. I have helped our church prep apple dumplings for election bake sales. My sister-in-law makes the spaghetti sauce for the two church spaghetti suppers we have a year. I bring a dessert, usually molasses cookies to sell at the dessert table. When I make meals for myself, I often have several meals of leftovers. Right now I have ham and green beans and chicken and pasta for the beginning of the week.